Kirby Nagelhout Construction Company is a proud sponsor of “Healthy Beginnings Champions for Children”. 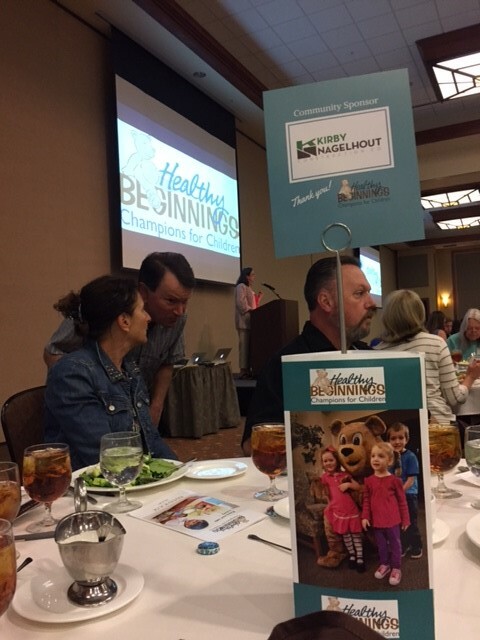 A special presentation and luncheon was held at the River House on the Deschutes in Bend to bring attention and awareness to the need for continued support for healthy beginnings for children and families. Healthy Beginnings provides community based screening clinics, referrals to appropriate community agencies, follow-up services as well as medical screenings for preschoolers. Supported by community donations and volunteers, the program offers a service unduplicated in our region, with no eligibility requirements for those asking for assistance. “We are proud supporters of Healthy Beginnings and the programs they provide to our children and families,” said Jeff Deswert President of Kirby Nagelhout Construction Company.